Sens. 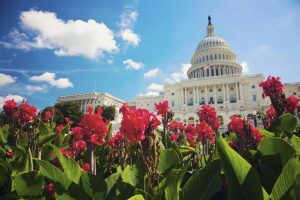 Rob Portman, R-Ohio, and Tina Smith, D-Minn., introduced legislation Thursday to correct an unintended consequence of the sweeping Tax Cuts and Jobs Act that Congress passed in 2017. That law inadvertently put nonprofit co-ops in the position of having to decide whether to risk their tax-exempt status to accept grants, including those from the Federal Emergency Management Agency to restore power after storms, floods, fires, earthquakes or other disasters, said Paul Gutierrez, an NRECA lobbyist who has been working with lawmakers to fix the problem. The new legislation by Portman and Smith—the Revitalizing Underdeveloped Rural Areas and Lands (RURAL) Act—would solve the problem by changing the tax code to exempt federal, state and local grants from being defined as income for electric co-ops. Reps. Terri Sewell, D-Ala., and Adrian Smith, R-Neb., who both serve on the House Ways and Means Committee, are expected to introduce the bill in the House next week.